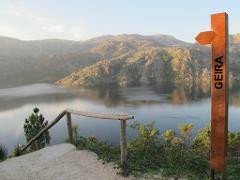 Our proposal is more than just visit Peneda-Gerês National Park is feeling it and become a part of it. Take a day tour from Porto on a 4x4 and explore the hidden places of the park, swim in amazing lagoons, waterfalls and a lot more! 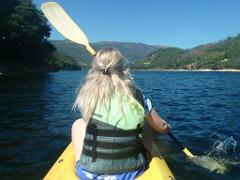 Kayak give you the opportunity to see Gerês in a different perspective. Easy level, the main goal is contemplation of the powerful landscapes. 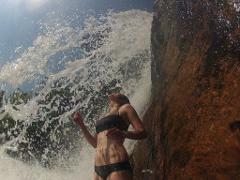 But Gerês means go to waterfalls and lagoons and that's also our proposal after kayaking. 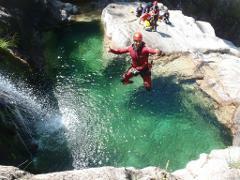 We will take you to the best Canyoning spots in Portugal : You will swim in deep clear pools, jump from rocks, rappelling or do zip-line, having as scenery an unspoiled nature with beautiful waterfalls and crystal clear water. Explore Peneda-Gerês National Park from Porto on a 4x4 led by a local friendly guide, learn about the history, culture and be amaze with this Portugal unknown treasure. Provide an unforgettable outdoor experience is our ultimate goal! 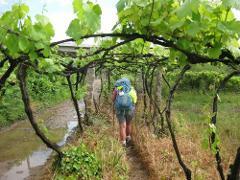 Unfortunately is not possible get to Santiago in a day, but is possible to hike in the most beautiful and special Portuguese way of St. James. That is our challenge: come and try the magic of being a pilgrim for for a day! Every Saturday we provide a unique Paddle experience at one of the Douro River tributaries. Doing paddle is being intimately connected with nature, so silence is mandatory. Come for a Surf experience in Porto! We give you pick-up, equipment, board, and an amazing experience and day! Our guides are here for you! Why not?